ZAMBOANGA CITY, Philippines (Mindanao Examiner / Mar. 8, 2011) – A Filipino small-scale miner was killed after he allegedly attacked with a bolo a security guard of the Subanon ancestral domain title holders in the southern province of Zamboanga del Norte. In a press statement from TVI Resource Development Phils., Inc., partners of the Subanon indigenous people of Siocon in the province, the mining firm said the security guard acted only in self-defense after Rodolfo Segovia chased him at a road block set up by the miner and his group. 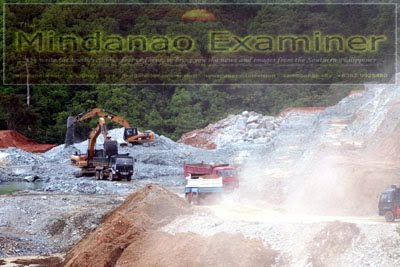 Segovia blockaded a road leading to an open pit run by TVI in the mountain village of Canatuan in Siocon town. It said the security guard was working for the indigenous tribe called Subanon who are protecting over 8,200 hectares of ancestral lands in the area where the TVI operates in a 500-hectare mine site since 2004. The security guard who shot Segovia surrendered to the tribal chieftain Timuay Jose Anoy, who is also the lead administrator of the ancestral domain in Siocon, home to more than 2,000 Subanon tribesmen. Segovia was part of a group of small-scale miners who operated in Mount Canatuan prior to the 2004 start of TVI’s operations and was reportedly demanding TVI payment for his piece of land, according to Anoy. “We have tried to discuss with Segovia all possible peaceful means to settle his demands, but he never listened and as a matter of fact he and a small group of small scale miners even barricaded our area to which they did not belong, until this sad incident,” Anoy told the Mindanao Examiner by phone from his tribe in Mount Canatuan. He said Segovia’s group blockaded a mountain road, forcing a convoy of ten trucks transporting earth to an open pit in the village. “Segovia was so angry at the trucks that he blockaded the road and then confronted the drivers and chased one of our security guards with a bolo,” Anoy said, adding it was not the first time that Segovia's group barricaded the road. 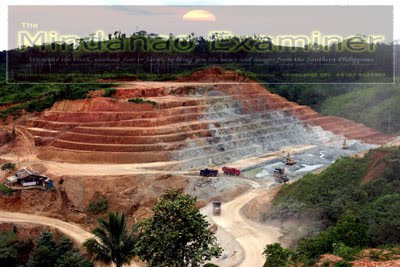 “Despite lengthy negotiations including generous offers of compensation, safety concerns, and repeated requests for Segovia to vacate an area near the mine pit that he was unlawfully occupying, he had been defying the Subanons even threatening the latter with bodily harm,” TVI also said in the statement released late Monday after the news of the killing broke out. It said the Subanen tribe and TVI had negotiated with Segovia and three other families who all claimed to be part of the old small scale mining community in Canatuan. Segovia’s group was allegedly demanding a huge amount of payment for their lands and that it rejected TVI's offer of money equivalent to many times the officially assessed value of the properties based on the fair market value of real property in Zamboanga del Norte. Other Subanon tribesmen were paid by TVI to relocate away from the mine area primarily for safety reasons. They have been offered a ‘disturbance compensation’ that is many times higher than those prescribed by the provincial ordinance governing real properties. The so-called “compensation” package is meant to provide the families a good opportunity to earn a decent and lawful living and have a fresh start outside Canatuan. The Subanon tribe in Siocon, by virtue of their partnership with TVI, hosts the company’s 508-hectare Mineral Production Sharing Agreement area within which TVI operates a 31-hectare copper-zinc mine. It previously mined gold and silver in Siocon. 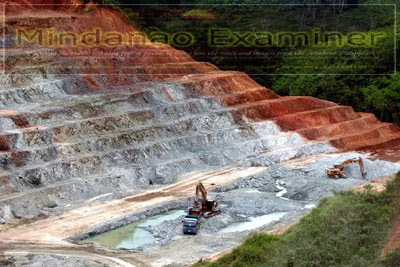 But there is a proposal by lawmakers in the province to ban open-pit mining in Zamboanga del Norte following the passing of a similar ordinance in South Cotabato province. Environmentalists and anti-mining advocates backed by the influential Catholic Church have opposed the operation of TVI in Zamboanga del Norte. But Anoy said they are satisfied with safety operation of the mining firm and that it has given them livelihood. “We are not opposing those who wanted to pass a law banning open-pit mining, but people who are opposing mining in Zamboanga del Norte, especially in our ancestral domain in Siocon, should also respect our rights and decision to allow responsible mining. We are guarding and protecting our ancestral lands,” he said. TVI has entered into a memorandum of understanding with the Siocon Subanons for the development of Canatuan that it said was a gesture of good faith.